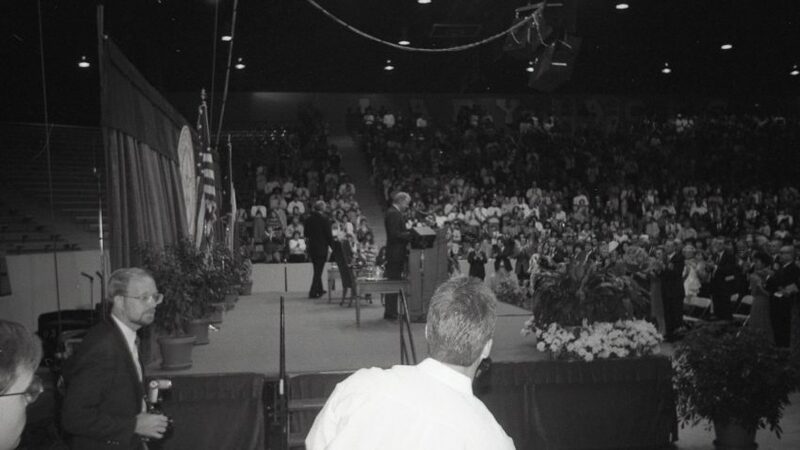 Let’s get this blog restarted – throwback Thursday time! 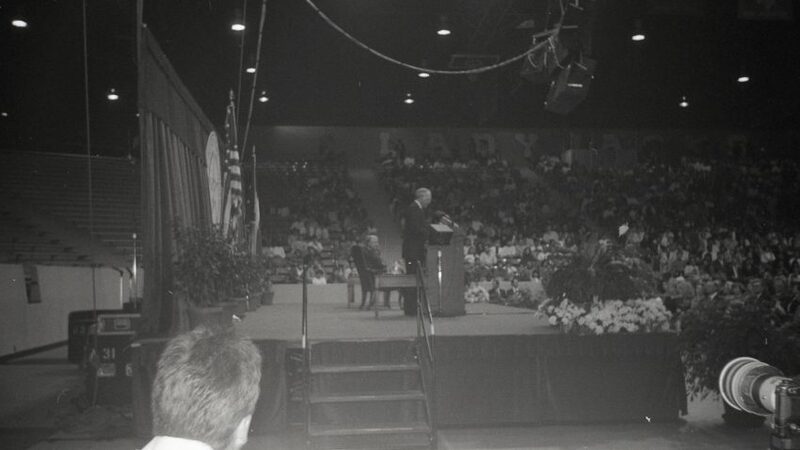 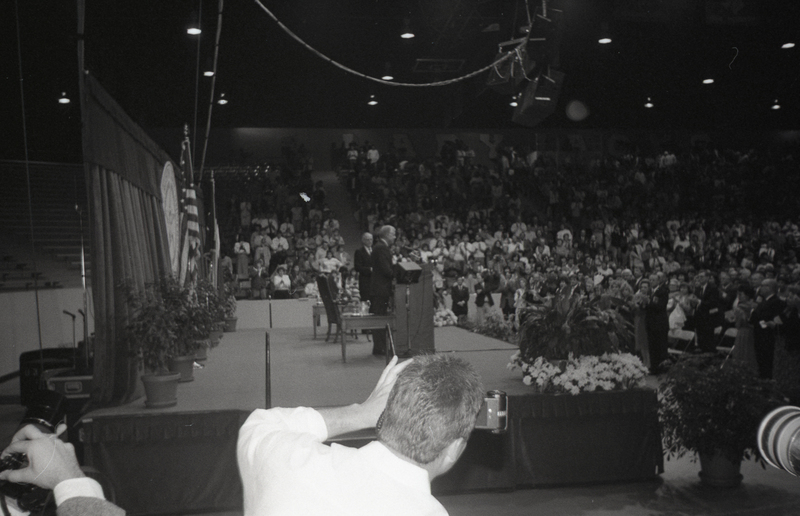 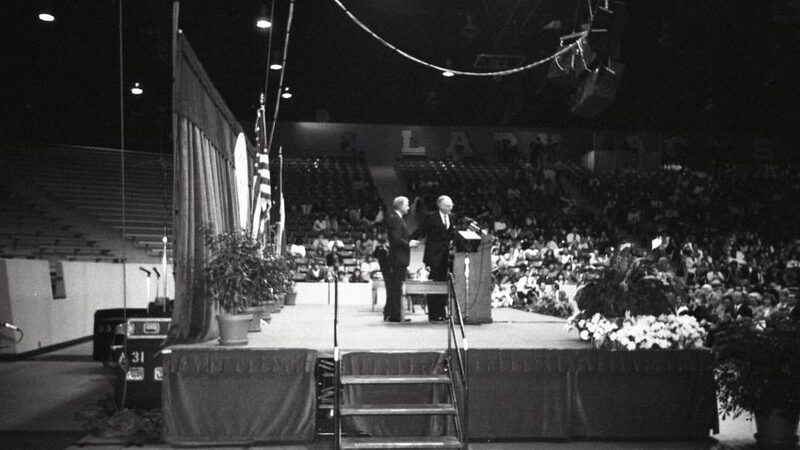 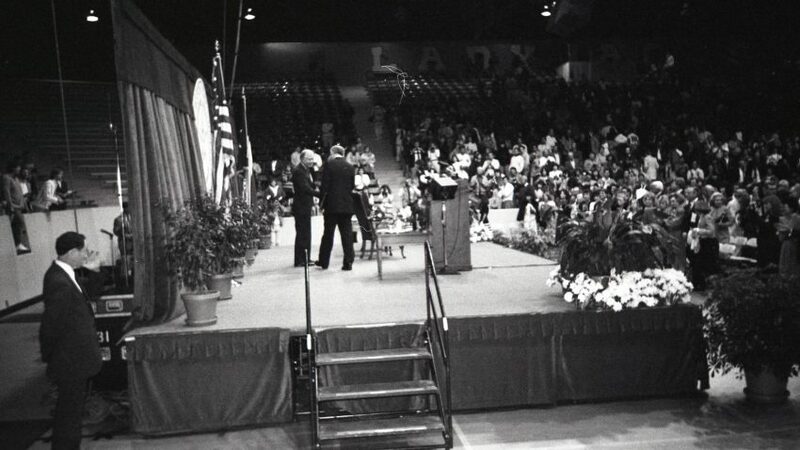 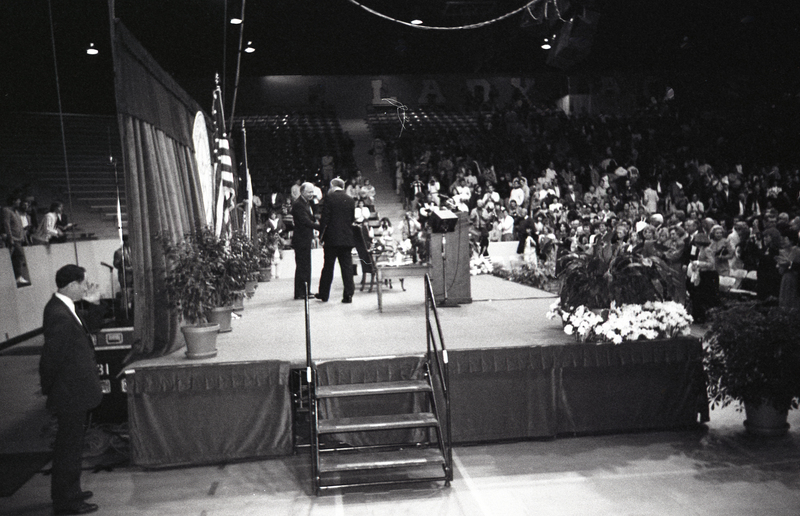 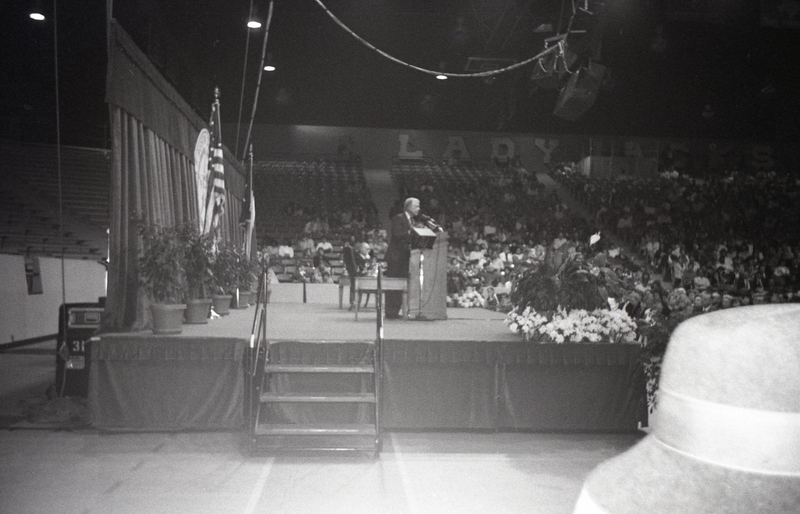 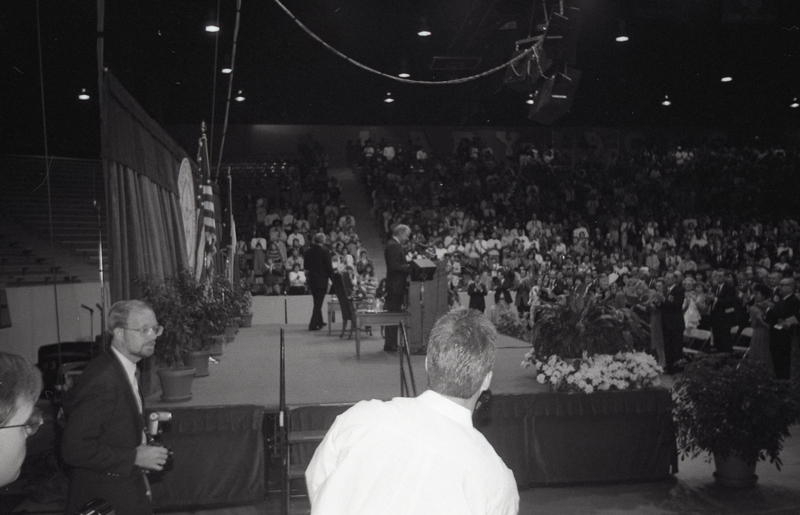 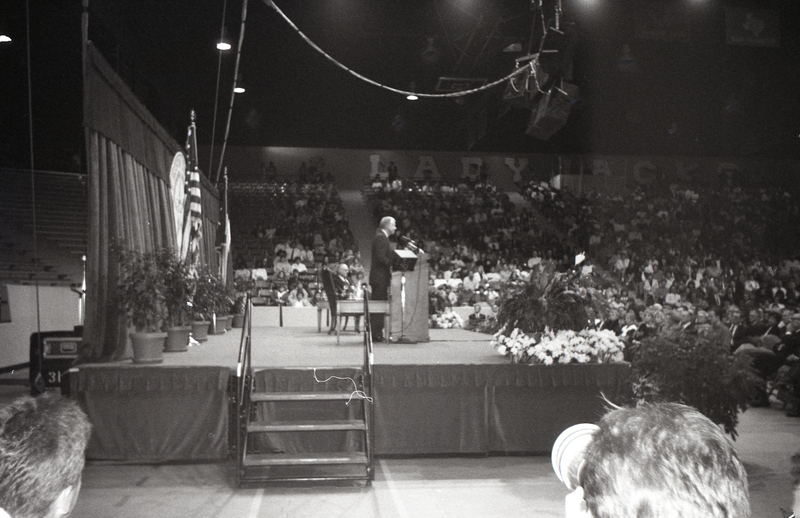 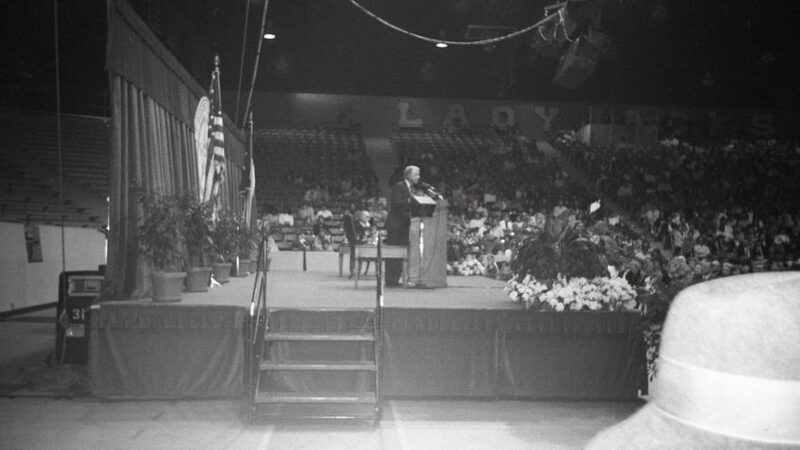 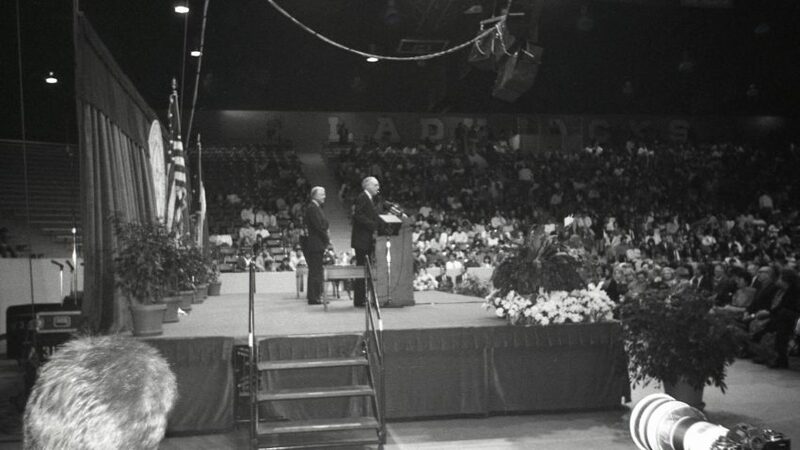 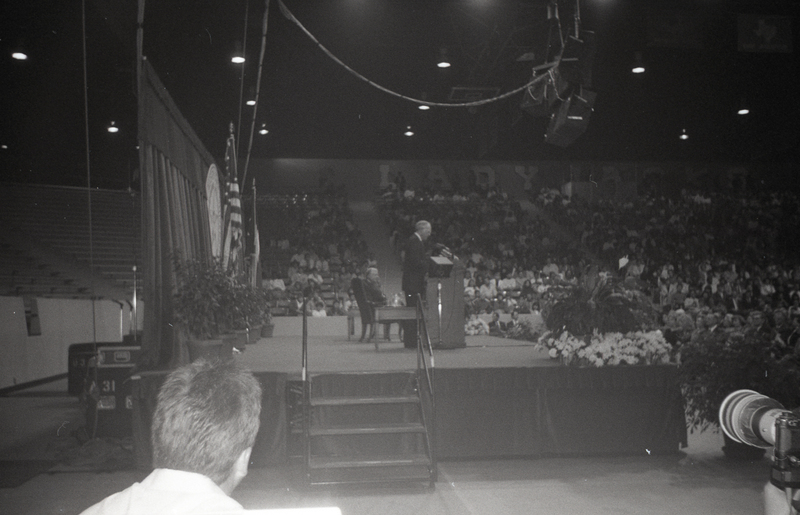 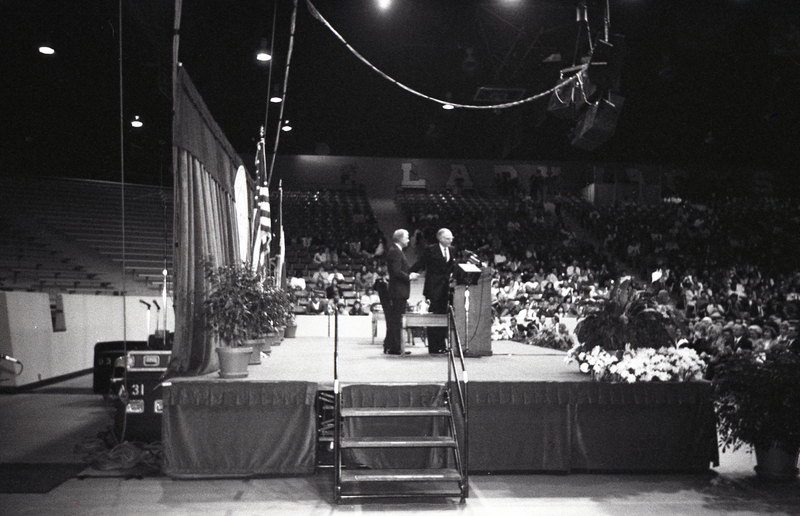 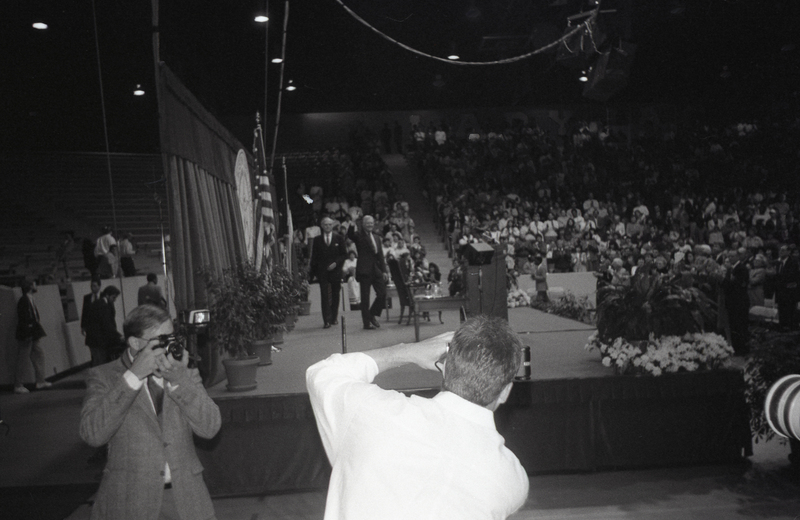 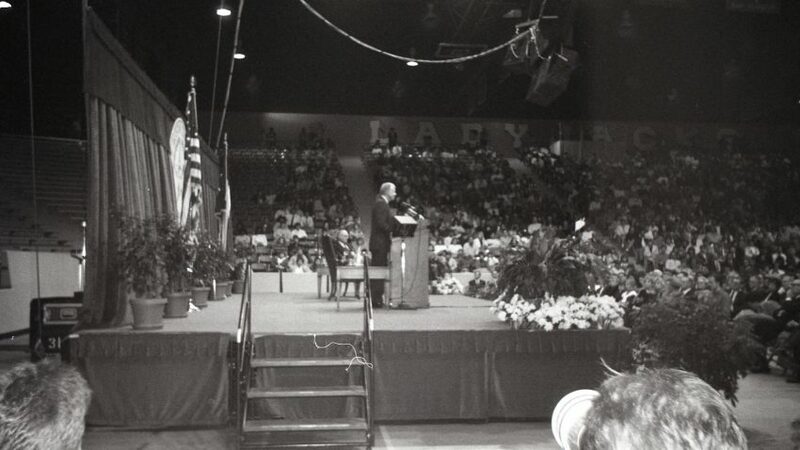 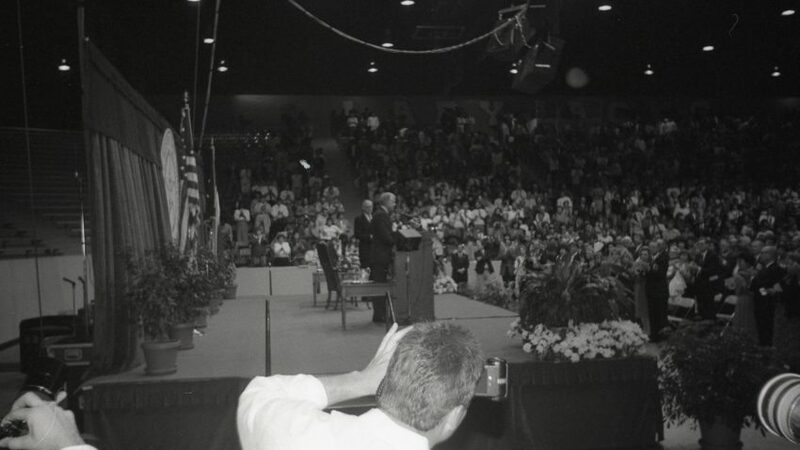 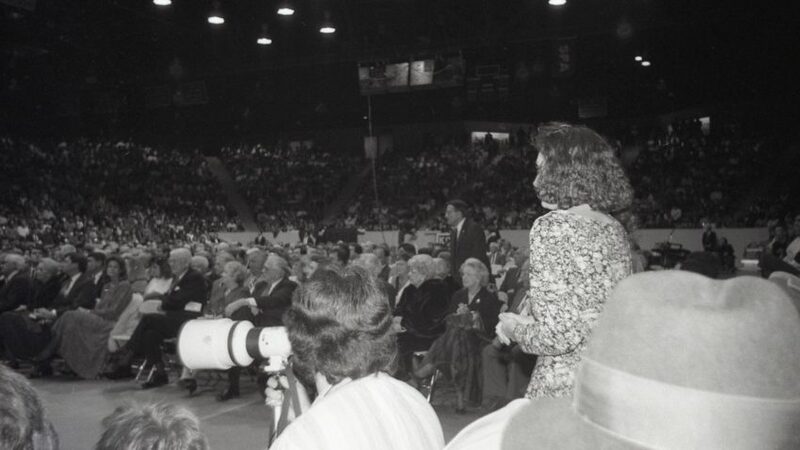 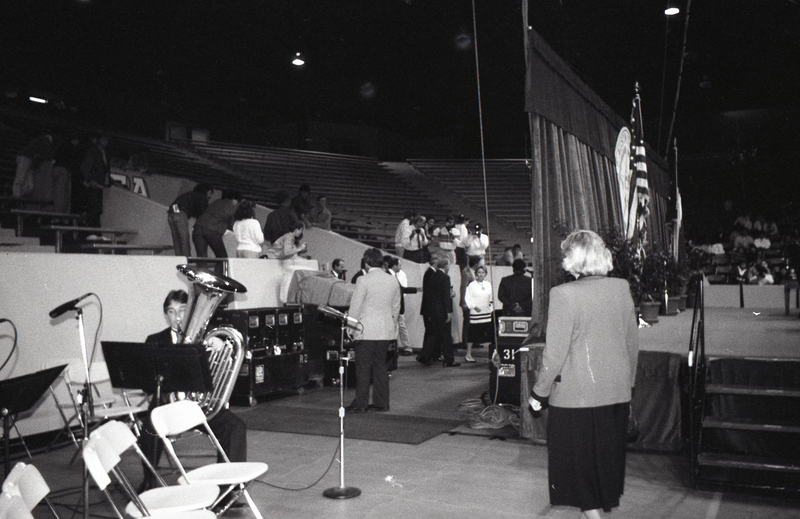 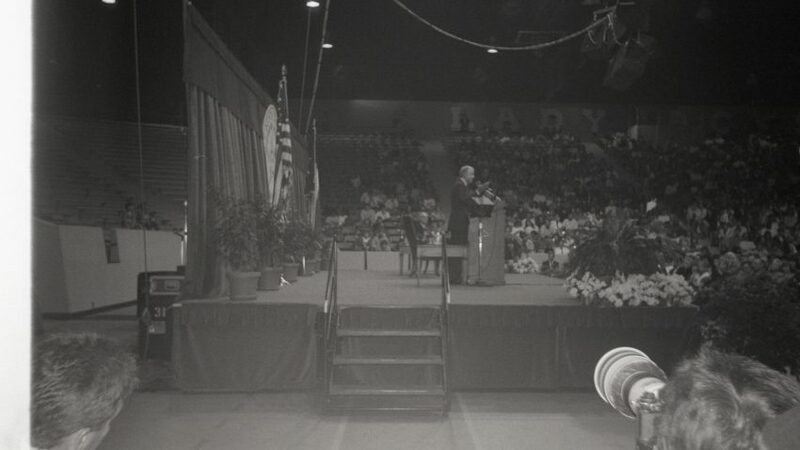 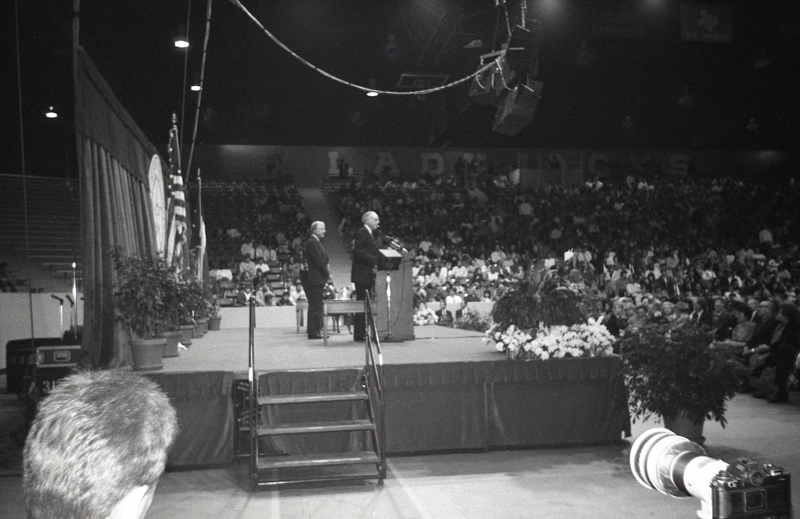 Back in 1989, former President Jimmy Carter came to visit Stephen F. Austin State University as part of the “Great Beginning” lecture series. 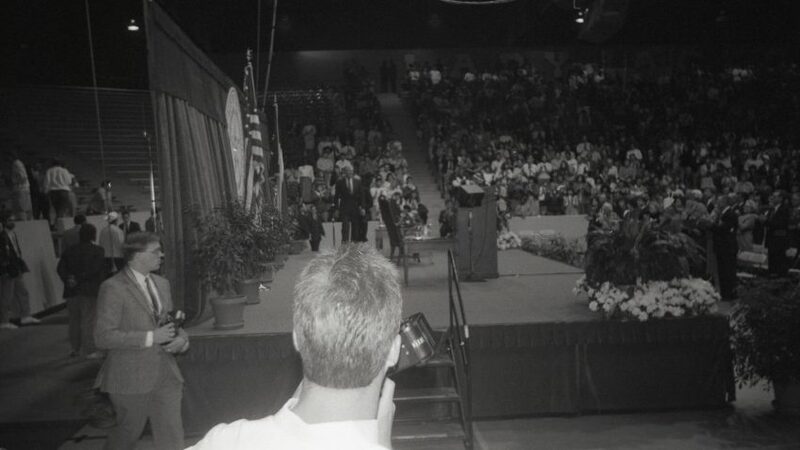 I had just started as a reporter for “The Pine Log” university newspaper and, even though I was just a “fish”, got the OK to attend the lecture with chief photographer, Robert Seale. 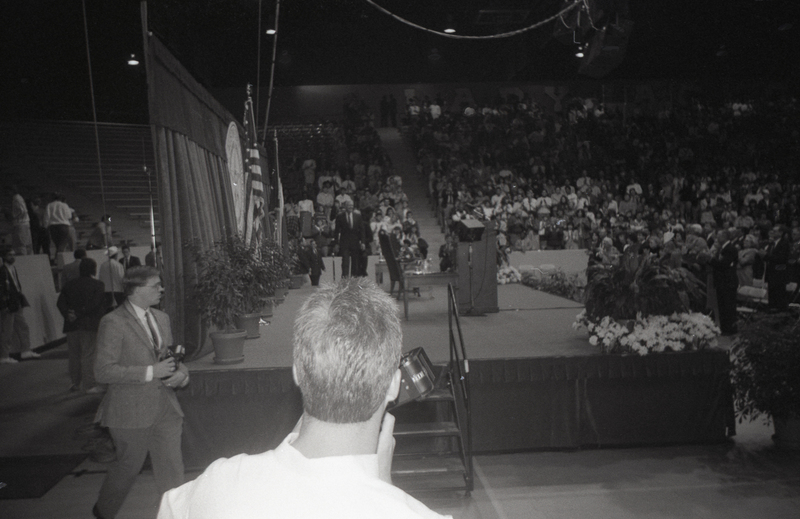 Unfortunately I didn’t get cleared in time to interview former President Carter, but somewhere in the 14-chest pile are my notes, recording of the lecture, and the story I wrote up for The Pine Log. 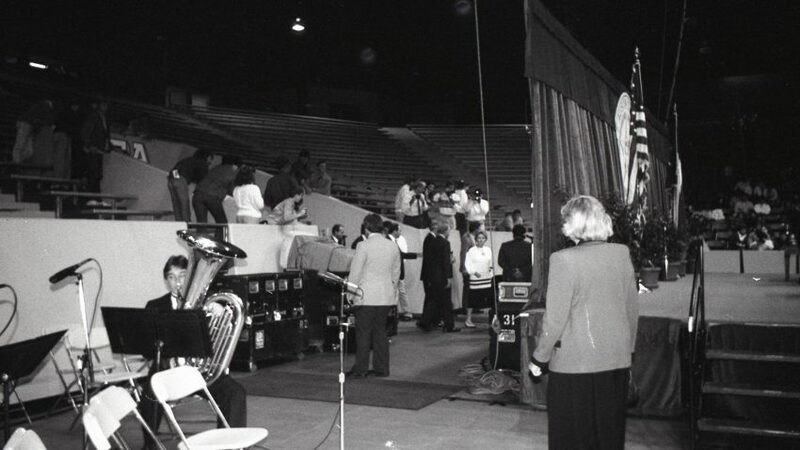 As soon as I find those, I’ll add them to this post. 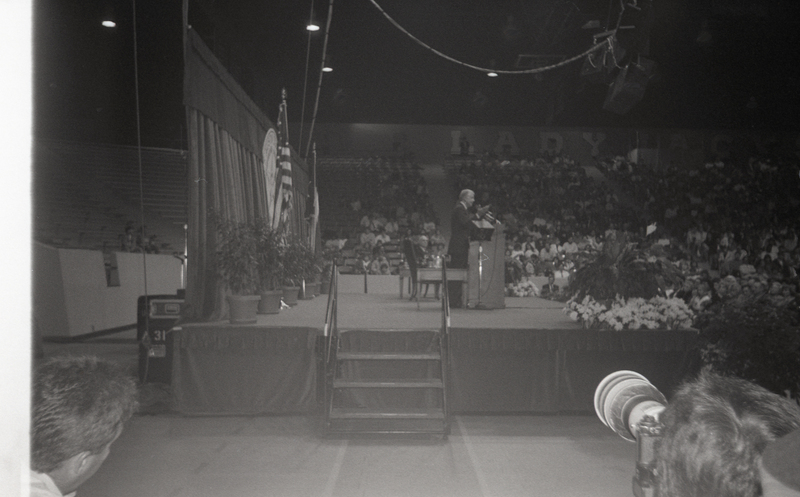 I took a few photos of the event with my single-focus 35mm camera, but I didn’t know I had loaded it with Black and White film until they were developed. 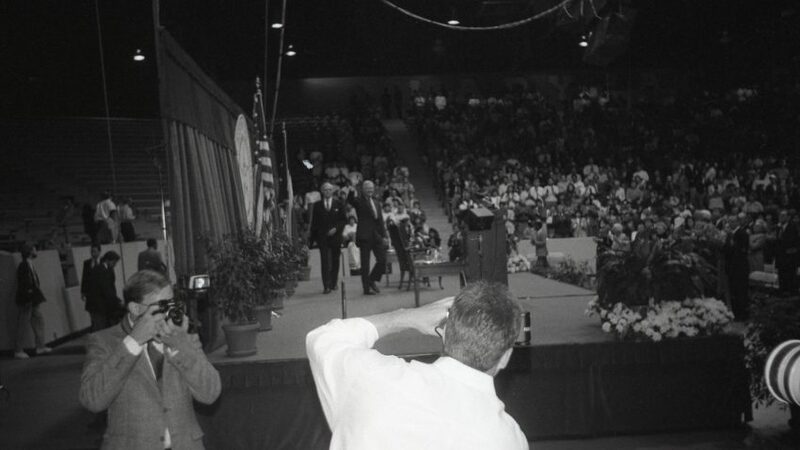 …and the final handshake and official close of speech. 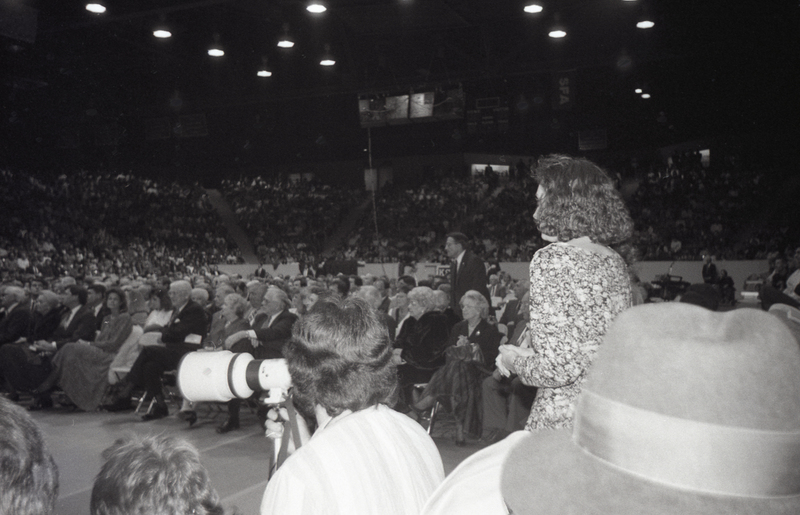 This work by Royce Eddington is licensed under a Creative Commons Attribution-NonCommercial-NoDerivatives 4.0 International License.